While driving the other day through a construction area, some gravel kicked up. 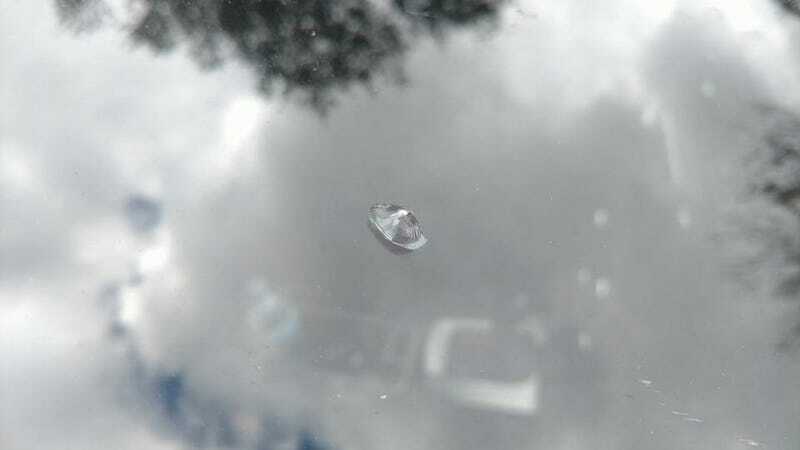 I got a nice chip in my windshield; the stone still embedded in the glass. Also, if you look closely in the bottom right, my windshield got scratched up rather badly and took the factory UV coating off. I also lost some paint on my bumper, but I will have to live with it. But, for the windshield, what do I do? Florida allows you to file a claim for free and your rates will not go up. So, that’s not a concern. I just don’t know if I fill it with that epoxy stuff, or ask for a new windshield. If I get a new windshield, I am making them use OEM Volvo glass. I just worry that doing so might open a can of problems.